For the immigrant-rights movement, Wednesday was supposed to mark a victory: the first day that thousands of undocumented immigrants brought to the United States as children could apply for work permits and a temporary reprieve from deportation under an executive order that President Obama issued last fall. But late on Monday a federal judge in Texas blocked the implementation of those orders, taking the side of twenty-six states suing the Obama administration over the deferred-action programs. Homeland Security Secretary Jeh Johnson said Tuesday that the administration would appeal immediately to the US Court of Appeals for the Fifth Circuit, but will suspend its plans to accept applications until that ruling. The ruling casts a shadow of uncertainty on people who have waited months for the orders to take effect. A delay will immediately impact up to 290,000 immigrants who are newly eligible for the expanded Deferred Action for Childhood Arrivals program, which was supposed to begin accepting applications on February 18. 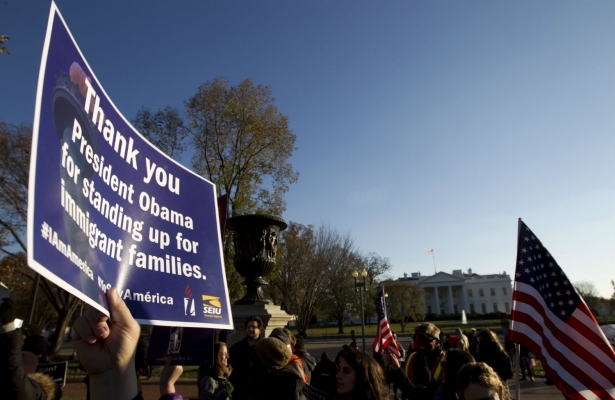 Another 3.7 million were expected to be able to start applying for work permits under Deferred Action for Parents of Americans program later this spring. Rights groups are quickly adapting their organizing efforts to make sure that confusion and fear about what the injunction means doesn’t discourage people from preparing their applications. Immigrant, faith and labor groups, along with elected officials, are going ahead with more than 75 events planned throughout the country during the ten-day congressional recess. The press conferences and rallies are meant to show support for immigrants, as well as to put pressure on Republicans in Congress, who are currently holding the Department of Homeland Security’s budget hostage in an attempt to block the orders. Pipeline apologists tell us the president’s decision isn’t that important for the climate—the dirty oil will flow anyway. Here’s why they’re wrong. Ever since the debate over the Keystone XL pipeline exploded three and half years ago, that’s been the argument from the project’s liberal supporters. Sure, the oil that Keystone would carry from the Alberta tar sands is three to four times more greenhouse-gas-intensive than conventional crude. But that’s not on Keystone XL, we’re told. Why? Because if TransCanada isn’t able to build Keystone to the south, then another pipeline will be built to the west or east. Or that dirty oil will be transported by rail. But make no mistake, we have long been assured: all that carbon buried beneath Alberta’s boreal forest will be mined no matter what the president decides. Up until quite recently, the tar-sands boom did seem pretty unstoppable. The industry regularly projected that production would soon double, then triple, and foreign investors raced to build massive new mines. But these days, panic is in the air in formerly swaggering Calgary. In less than a year, Shell, Statoil and the French company Total have all shelved major new tar-sands projects. And a rather large question mark is suddenly hanging over one of the world’s largest—and dirtiest—carbon deposits. This radically changes the calculation confronting Barack Obama. His decision is no longer about one pipeline. It’s about whether the US government will throw a lifeline to a climate-destabilizing industrial project that is under a confluence of pressures that add up to a very real crisis. 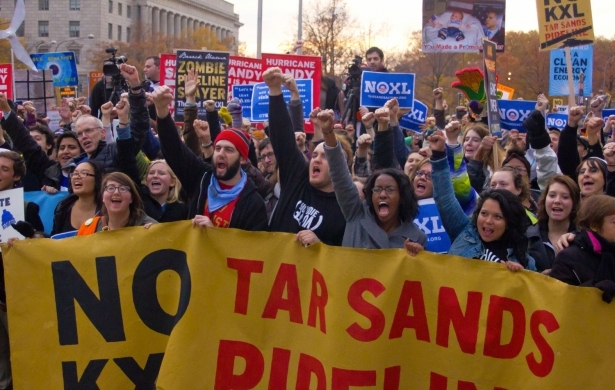 Here are the four main reasons that the tar sands are in deep trouble. 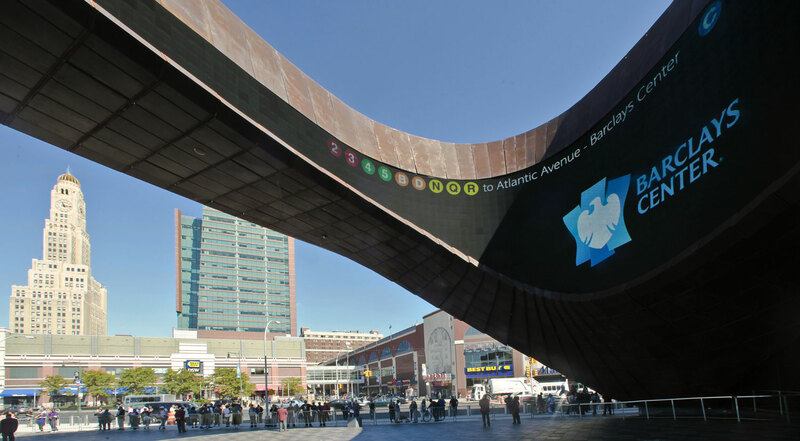 Former NBA Players Ask: Why Is Barclays Center Hosting Friends of the IDF? Unlike his polarizing predecessor David Stern, new NBA Commissioner Adam Silver has clearly tried to chart a different path. The Silver way, to his great credit, seems a sincere aspiration to make the NBA something that unites instead of divides. Under Silver, two owners have been shown the door for comments the league has judged to be racist. Those protected under Stern have been exposed. Clearly Adam Silver wants the league to steer clear of looking like a divisive force, and that is exactly why it is so difficult to understand how a fundraiser for Friends of the Israeli Defense Forces is a part of the NBA preseason. The “VIP Event” is taking place before an exhibition game between Euroleague Champion Maccabee Tel Aviv and the Brooklyn Nets. It is also difficult to understand, given the Israeli Defense Forces summer war on Gaza, why the NBA decided that two of the three international teams to tour the NBA this preseason would be from Israel. Maccabi Tel-Aviv and Maccabi Haifa will be criss-crossing the country, from Washington, DC, to Portland, in a series of celebrated scrimmages. Why Maccabi Haifa is one of the three teams is a mystery. What is not a mystery is the fact that protests are going to follow the teams to NBA arenas. This includes a picket of Friends of the IDF at the Barclays Center on Tuesday, which as of this writing has 150 confirmed attendees on Facebook.